Speaking at a press conference in Dubai, Muse Behi Abdi stressed that Somaliland is an independent state and a democratic nation. He said that the deal his country signed with DP World will be implemented by the government. His comments come after Somalia said earlier this week it will ban ports operator DP World from operating in the breakaway Somaliland. Somalia’s parliament also voted on the matter to ban Dubai-based DP World, as the government said the deal between the two was null and void. “I will say that’s a joke. They have no [right] whatsoever to interfere with what we are managing in Berbera,” the president said. The agreement in question is for DP World to operate a port in the city of Berbera. The port is currently under construction, with the first phase underway, and is expected to be completed in two years. Also speaking at the press conference was Somaliland’s Minister of Foreign Affairs and International Cooperation, Saad Ali Shire, who said that Somalia’s parliament has no jurisdiction over Somaliland and that it doesn’t represent the people there. “The investment of DP World in Berbera port is a developmental investment, which is important not only for Somaliland but for the region as a whole. Somaliland needs the finance and the experience of DP World, Ethiopia needs another gateway [besides] Djibouti,” Shire said. Earlier this month, the government of Ethiopia acquired a 19 per cent stake in the DP World-operated Port of Berbera as the landlocked nation seeks to secure and boost its trade. He added that he did not expect the latest move by Somalia to deter foreign investments into Somaliland. Sultan Bin Sulayem, DP World Group chairman and chief executive officer, stressed a day earlier his company’s commitment to its investments in Somaliland. He said he was not concerned about the vote by Somalia’s parliament. 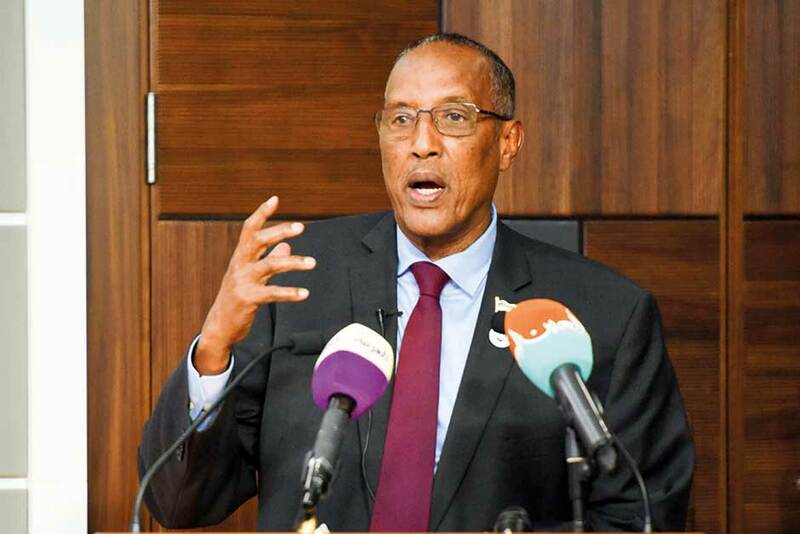 Somaliland president Abdi was speaking in Dubai during an official visit to the UAE where he was joined by various ministers from Somaliland. The delegation has met with Shaikh Mansour Bin Zayed Al Nahyan, the UAE’s Deputy Prime Minister and Minister of Presidential Affairs, to discuss issues that include security, travel, trade, economic and social development, and regional politics. Abdi said his delegation was well-received, and that the two sides agreed to deepen their cooperation on all fronts.